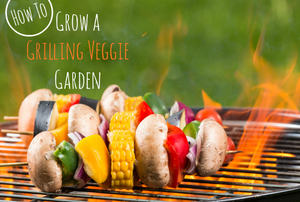 If your summer meals are made on the grill, you need a garden of veggies, herbs, and spices to kick your kabobs and burgers up a notch. Turn a mud puddle into the pride of your yard. 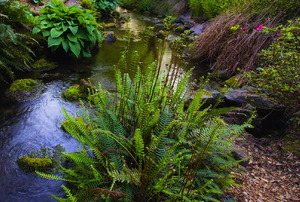 Old-world features and luxuriant plant growth can adapt any landscape into the epitome of beauty and romance. 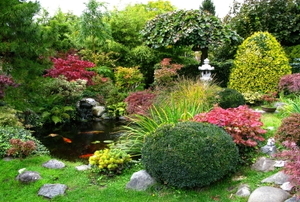 Create a place of rest and rejuvenation by adding a touch of the Orient to the landscape. If you want a less formal garden that simply enchants, the English cottage garden happily obliges. 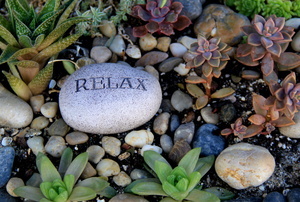 Want a low-maintenance landscape look? Here's your answer! 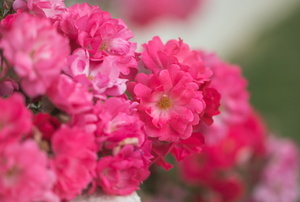 Single color gardens are not only fashionable - they're startlingly beautiful. 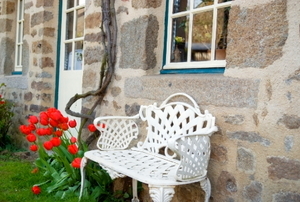 East or West, anchor your garden with stone. When one thinks of the Victorian Age, "abundance" generally comes to mind. 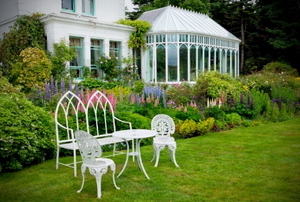 Look here for guidelines and tips to create this striking, formal garden. From stones to streams to bonsai trees. 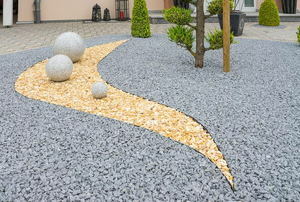 A Zen garden traditionally is considered to be a dry landscape because there is no tangible water present. 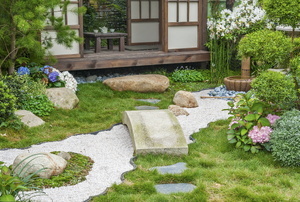 Before building the path through your zen garden, sit down with a pen and paper and design it first. 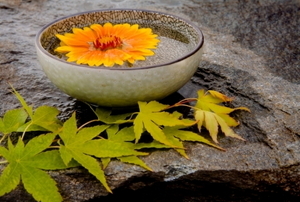 A traditional tea garden is place of repose and relaxation. Adding a bonsai tree to your miniature zen garden is really an essential step to completing the motif. 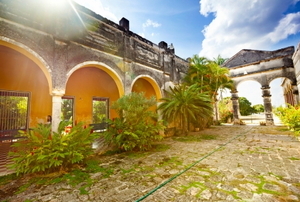 Create a courtyard garden reminiscent of Mexico's timeless appeal. 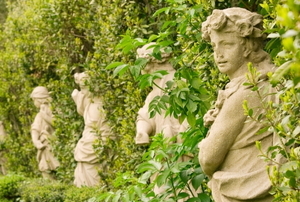 Italian gardens are not only shaped by climate and geography, but also history.